The perfect solution to store and hydrate your Bluelab pH products. 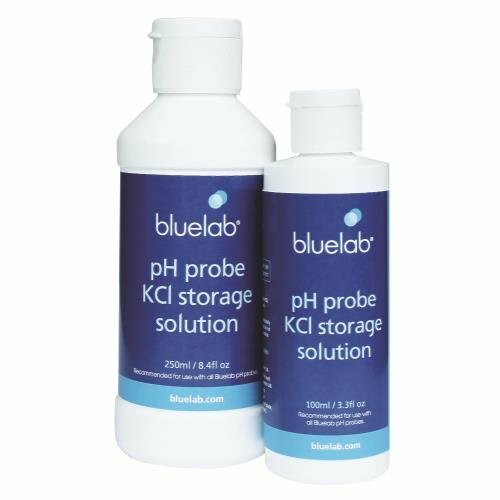 Bluelab® pH Probe KCl Storage Solution is made specifically for use with Bluelab® pH products. It is designed to increase response time and maximize the life of Bluelab pH pens and pH probes. For best results, use the KCl solution to store the pH pen/probe after use and hydrate monthly. Bluelab® pH Probe KCl Storage Solution is manufactured to high laboratory standards.